Recently, focus on preventing food waste from ending up in landfills has grown significantly, leading to both customers and businesses alike implementing even more conscious initiatives to recycle. 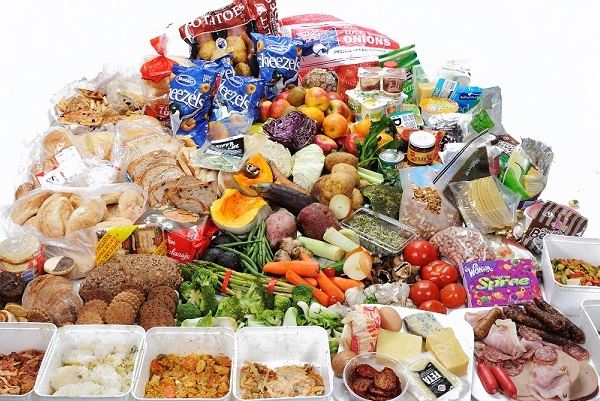 Nevertheless there are still many perspectives for food waste recycling. Unfortunately, many organic and food waste cleanouts frequently go right to the landfill whether after completing a one-time project or ongoing requirements. This could be because of concerns over taking care of the logistics for safely recycling these materials. In addition, companies occasionally pick throwing away over recycling as a result of misconceptions that recycling is not a feasible service solution for organic waste. Fortunately, recycling IS a sensible choice, and there are several recycling facilities like iSustain Recycling equipped to safely deal with these products. Selecting recycling alternatives for organic waste not just has a positive environmental effect, it could also lead to reduced garbage dump costs as well as increased recycling rebates for your company. The biggest worrying keeping some businesses from recycling their organics is the necessity to maintain FSMA compliance. Since FSMA (or the Food Safety Modernization Act) likewise controls some elements of disposal, companies are concerned that recycling is no more a practical option for off specification or compromised organic waste. Nevertheless, it is necessary to keep in mind that FSMA does not make organics recycling impossible. Actually, FSMA mainly affects organic and food waste that is destined for usage as human or animal food. But as long as appropriate safety measures are applied, even animal feed outlets are still sensible disposal options. Another common concern for businesses is brand standards protection especially for those thinking about organic as well as food waste recycling. Business do not want the products or ingredients that go into the waste stream to be spread in the general public market via any kind of unapproved channels. One method for counteracting this risk is to demand certifications of destruction from your recycling company. Any type of credible recycling facility ought to be willing to supply written guarantee that your packaged waste items have been securely disposed of as intended. As an example, at iSustain Recycling we offer assured destruction, which means that our recycling process assures complete destruction and confidentiality. These are just a couple of factors to think about when considering organics as well as food waste recycling opportunities fro your business. To learn more regarding iSustain’s business organics recycling programs, call us today.